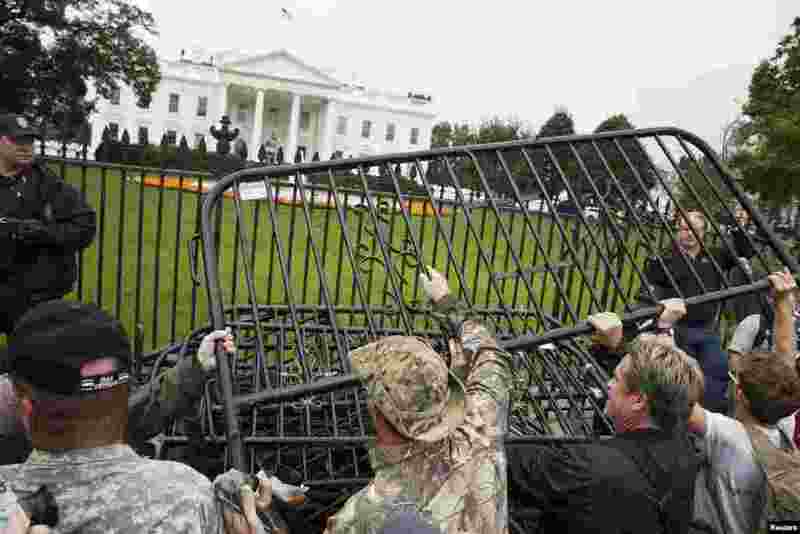 1 Protesters pile barricades in front of the White House in Washington, Oct. 13, 2013. 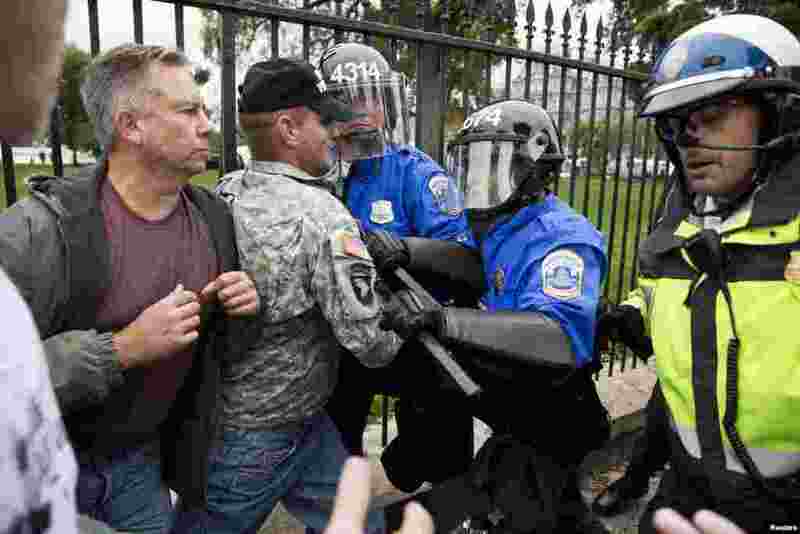 2 Police scuffle with protesters taking part in the "Million Vet March on the Memorials" that drew hundreds of demonstators in front of the White House in Washington, Oct. 13, 2013. 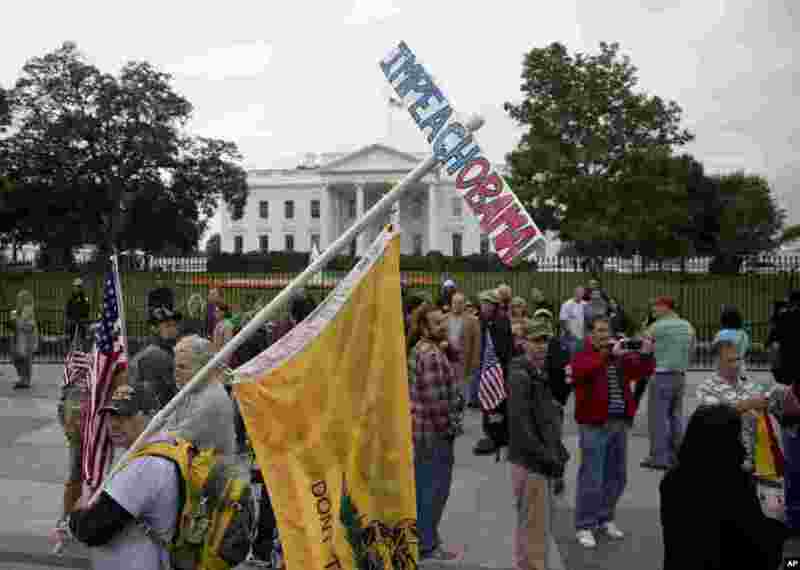 3 A man carries an "Impeach Obama" sign while protesting outside the White House in Washington, Oct. 13, 2013. 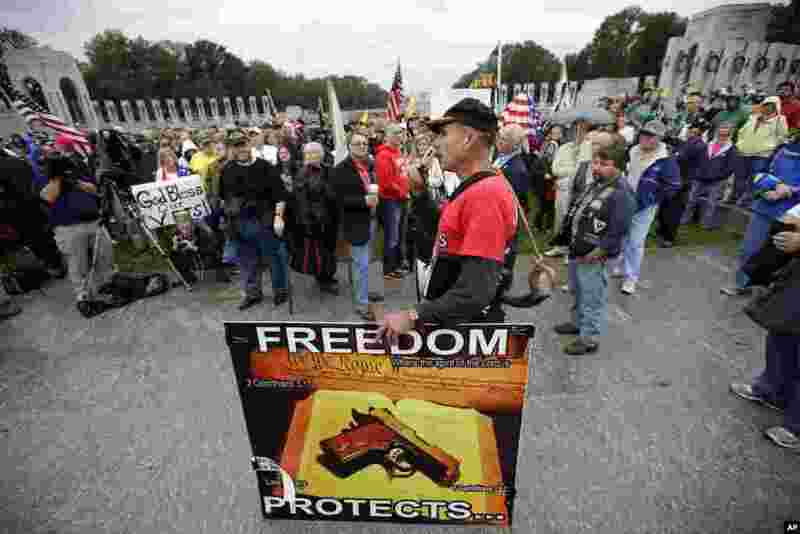 4 A protester speaks to people gathered at a rally at the World War II Memorial in Washington, Oct. 13, 2013.